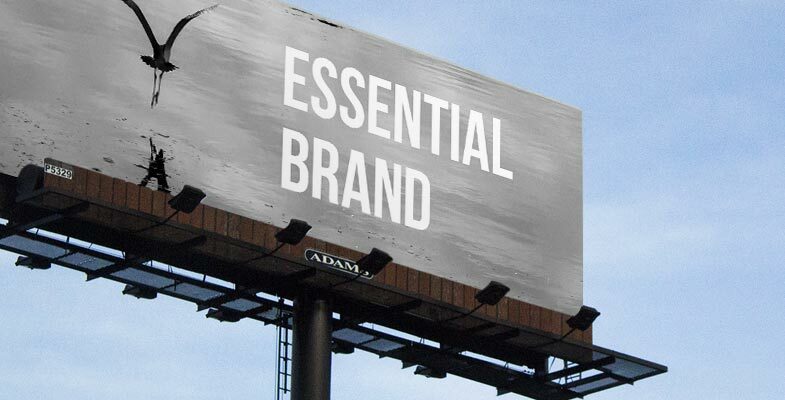 It would be a disservice to raise this question and not be very forthright: Very few brands are essential. To understand why – and where the opportunity lies – it’s important to understand what “essential” means when it comes to brands and the companies behind them. An essential brand is one that does more than sell products and services to its customers; it does more than provide information about those products and services to its prospects; and it does more than saying, “Hey, we’re here!” to its broader target audiences. An essential brand is a resource beyond products/services. It has a deeper connection with its audiences (relevant and emotionally resonant). And it seeks to play a larger role by contributing in more profound ways to how its customers and other stakeholders conduct business and achieve their own success. The good news is that because so few brands achieve essential status (or even try), there’s likely an opportunity within your market or industry to be the one company among competitors that can fill those shoes and reap the rewards. The question is: How do you move your company into this coveted position? Brands become essential by anticipating and serving customer needs – often unspoken – which can only occur when you understand your customers better than they even understand themselves. How do they work? What challenges do they face? What do they value in partners and suppliers? What messages resonate with them most? And more. Begin by creating a detailed description for every customer type. This may sound like marketing 101 but you’d be surprised how many companies neglect to do the groundwork or bypass formalizing and institutionalizing their buyer personas. Download our tips for developing better buyer personas here. This lack of proper formal documentation often results in misinformation about what customers are like and what they want and need over time – until once again a company is asking itself if it really knows its customers. With a clear understanding of your audiences, look at every interaction between your company and your customers throughout the customer experience journey. This will help you identify opportunities to address all customer needs, including those that are unspoken. Most importantly, your understanding of customer interactions will help you identify opportunities to become essential. Brands become essential by looking beyond the obvious. The biggest marketing misconception that exists today is that just sharing free educational resources with your audiences is a panacea for being essential. Although it’s likely that original white papers and reports related to your customers’ needs rather than your offerings will be part of your effort to become essential, a few shared resources are not going to make a big enough difference. So, think beyond the obvious and use what you know about your customers’ challenges to inform your strategy of becoming essential. For example, a company whose clients are comprised of highly stressed and extremely busy teams might become essential by doing something as simple as sharing a collaboration tool that makes scheduling meetings with large groups much easier. Or, your team might become essential by creating a “state of your industry” educational series where you present trends and opportunities in the categories where your customers do business. As a side benefit, something like this could lead to creating reports you could send to your customers and prospects as a part of your ongoing communications (as opposed to filling their inbox with your company news). Whatever it is, look for ways to connect your company with your audiences on an emotional level and to demonstrate that you “get” them. Something many companies struggle to do because they either don’t understand their customer needs or believe every communication needs to be tightly tied to their own offerings. Of course, creating an essential brand takes considerable thought, and often it’s those companies that build being essential into their overarching strategic direction that stand out most in the marketplace. Companies that pursue Blue Ocean strategies provide apt examples. Typically, Blue Ocean strategies are defined as those that carve out new, uncontested market space that make competitors irrelevant and create new customer value (termed value innovation). Businesses that take on the exciting but difficult task of finding a Blue Ocean often become essential brands in the process. For example, Southwest Airlines’ decision not to compete against other airlines but rather to compete against driving made their brand essential to those looking to take short trips, faster and less expensively. We are here to serve you fully – beyond the ways you might think we’re limited to. The trick becomes not letting what you do to become essential morph into superficial and slick. Your actions need to be meaningful and authentic. As in the example above, for the right company the act of providing a simple online collaboration tool does have meaning and is authentic. Identify what will make a tangible difference for your target audiences, but don’t be afraid to show your brand’s personality because deeply connecting, resonating and relating requires it. It’s long been acknowledged that strong brands contribute greatly to sales volume, to the ability to premium price and to attract and retain great talent. It’s also widely accepted that strong brands lose less value in a recession and more easily expand into new markets and launch new products/services. So, before a brand can become essential, it also has to hit the bar of simply being a real and strong brand in the first place – meaning your company has a clear brand purpose, position, promise, essence, values and defined personality that can be articulated by everyone at the company. Then, allow what’s essential about your brand come from that core. In other words, be as deliberate about planning your brand’s essential as you are about planning products and services. If you’re thoughtful and authentic in your effort, you’ll gain major points each time you find a new way to be of value to those you serve. At Substance151, we assist companies in developing powerful brands that increase value for customers, carve out a competitive edge and improve the bottom line. Contact us at 410-732-8379 or brand@substance151.com and let’s talk about making your company’s brand essential.